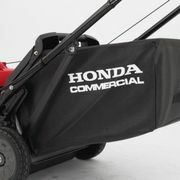 The Honda HRC216PDU lawn mower is built for the professional contractor or for the homeowner with a large property. The huge 21" steel deck is light weight and easily manoeuvrable, making it easy to work with. 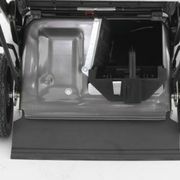 The front bumper and deck guards make the Honda HRC216PDU more durable as it protects the steel deck from any unwanted contact. The Honda HRC216PDU is powered by the GSV160. The lightest commercial engine in its class. 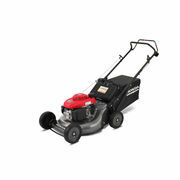 The cat iron sleeve, two-stage air filter, ball baring supported crankshaft, electronic ignition and mechanical governor make this mower an exceptional Honda product. Along with the advanced Honda 4-stroke technology, with no fuel mixing required the HRC216PDU really is a work of art. The most notable feature of the Honda HRU216PDU is the massive 88 Litre catcher bag. With a catcher bag this large your time spent emptying the bag will be significantly reducing the amount of stops it will take to empty the bag. The HRC216PDU also features Hondas new MircoCut twin blades system. 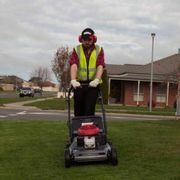 Offering four cutting edges resulting in incredibly fine lawn clippings for efficient mulching and catching needs. And with the engine brake technology installed on the Honda HRC216PDU the engine and blades will stop within 3 seconds of letting go of the handle. 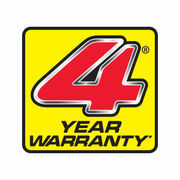 And once again the Honda HRC216PDU is back by Honda offering a huge 4 year domestic warranty. All you need to put in you fuel tank is straight unleaded fuel. Removing the hassle of fuel mixing. Lightest engine in its class featuring a cast iron cylinder sleeve, two-stage air filter, ball bearing supported crankshaft, electronic ignition and mechanical governor. The mammoth 88 litre catcher will significantly reduce the amount of stops you take to reduce the bag. 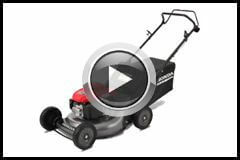 Resulting in quicker mowing times meaning you can get more jobs done in the same amount of time.